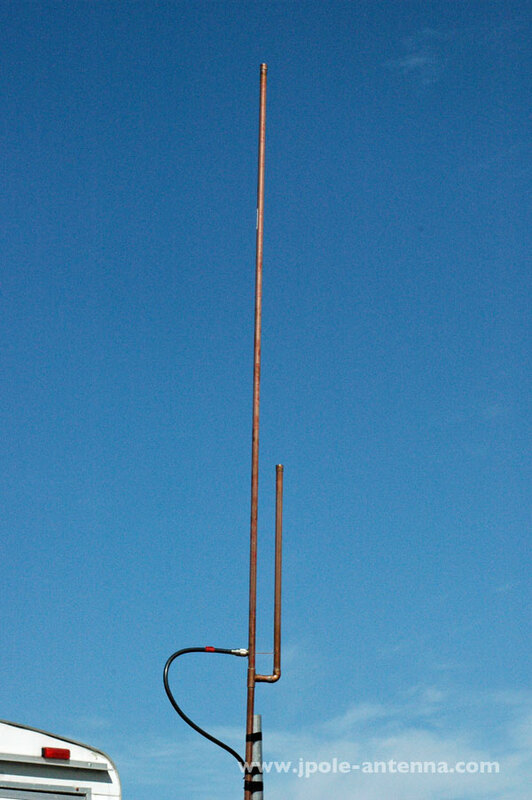 The Breakaway 2 meter J-Pole is the same antenna as the original model but with a two piece design. Same dimensions and specs as the original J-Pole but with a screw connector in the middle for easy transport and storage. 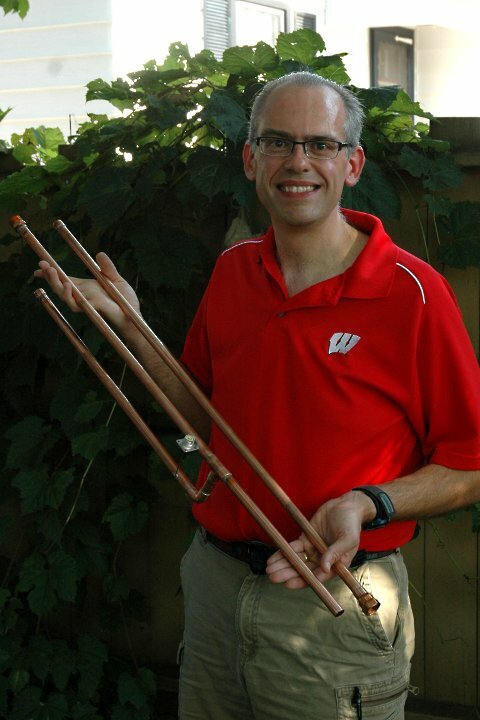 Now the antenna will fit in the trunk of your car. Carry it with you for fast emergency communications deployment. The only difference between the 2 meter J-Pole and the 2 meter Break-away model is the addition of the screw connector in the middle for easy storage and transport. I like to take this particular antenna camping as the two piece design takes up less space than the one piece antenna. I received my shiny, new break-a-way antenna yesterday! The workmanship was great. I attached it to a wonderpole and raised it 21 feet. On the other end of the antenna I had connected a Yaesu FT 60 HT radio – 5 watt output. Hitting the repeaters was not an issue at all. I had a friend meet me on a simplex channel and we chatted for an amazingly long time as he was driving away from the area. Several other operators joined in. One from appx 40 miles away. They were all amazed at the great sound from my little radio and the J-Pole! I highly recommend this antenna! It will be used not only for base station applications, but as well for working events with the local club I belong to. I am very pleased! I just purchased my second 2 Meter Break-a-Way J Pole from Michael for field day and ECOMM use. My first antenna is in my attic and gets great signal reports from my 4 W HT to repeater, other mobiles, and base stations. Michael’s materials, workmanship, and customer service are excellent with great pricing. I look forward to his newsletters every month. I learn something new every issue! I bought this as my first VHF/UHF antenna after getting my technician/general license and mounted it in my attic. I was amazed at getting pretty good reception from a repeater 20+ miles away, and chatted with a friend about 40 miles away. Would definitely recommend. This antenna is the easiest way to get on the air, whether you are installing it on a mast at home or using it as a field deployment antenna. The performance of this antenna is perfect for UHF and VHF transmission and reception. I shopped around and researched the available options, and this antenna is the best omnidirectional antenna I could find anywhere for people with limited space plus it makes your station portable with superior signal performance. I got this antenna from another ham and I must say for 2m operations it’s one of the best antennas you can get especially for the price. I’d recommend this antenna to anyone new to the hobby or experienced. I have gone from just reaching and hearing local repeaters no more then 20 miles out to now I’m reaching out as far as 40 miles! For VHF/UHF I’ll only buy these Jpole antennas from now on. Amazing quality, amazing performance, amazing price.